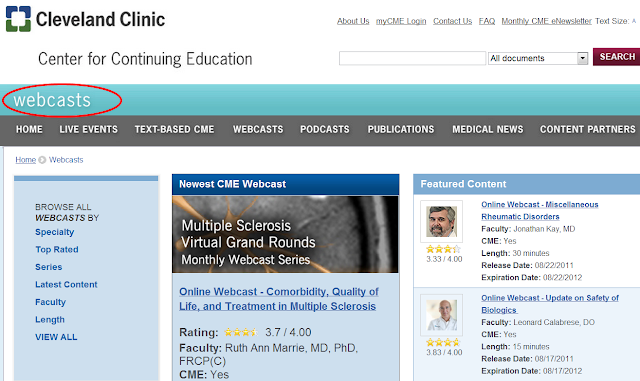 Nice website for Medical CME. 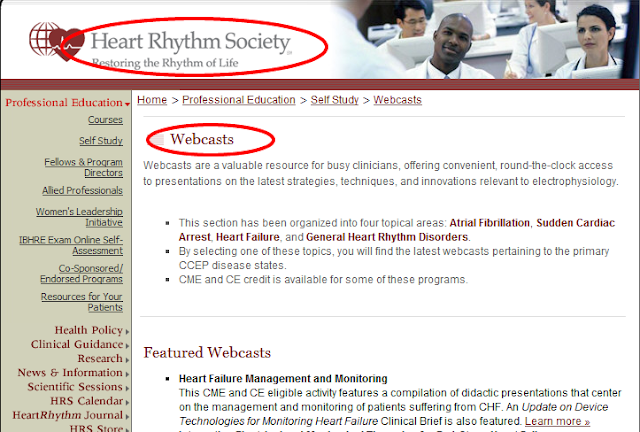 This section has been organized into four topical areas: Atrial Fibrillation, Sudden Cardiac Arrest, Heart Failure, and General Heart Rhythm Disorders. 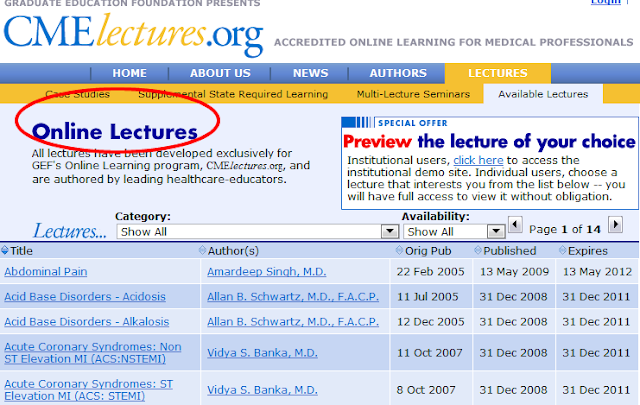 All lectures have been developed exclusively for GEF's Online Learning program, CMElectures.org, and are authored by leading healthcare-educators. 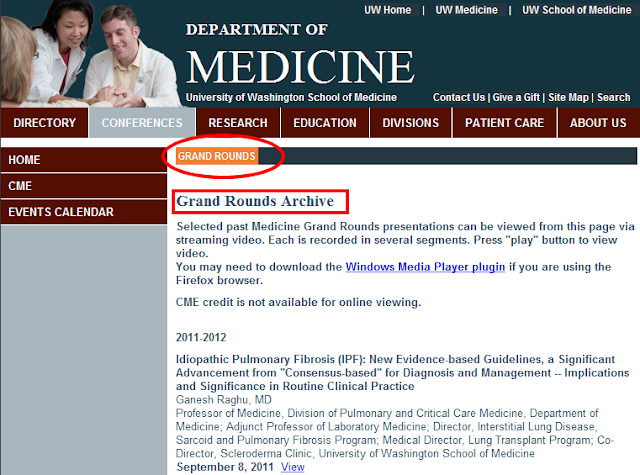 Selected past Medicine Grand Rounds presentations can be viewed from this page via streaming video. Each is recorded in several segments. Press "play" button to view video. 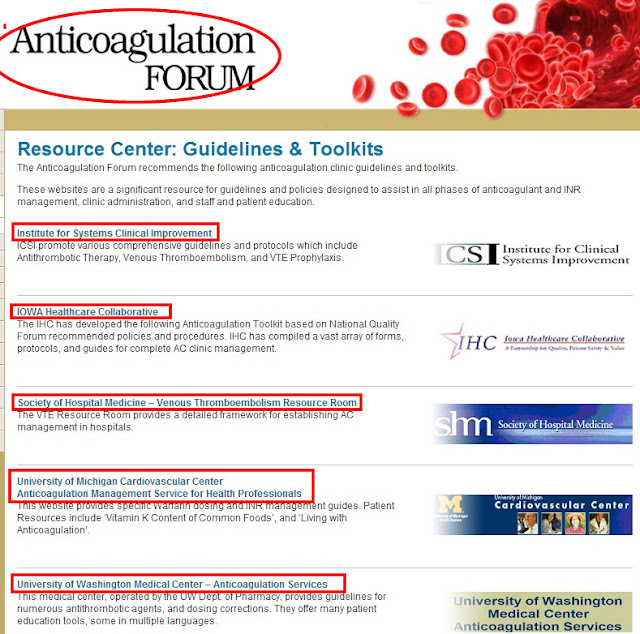 has outstanding set of really well-organized calculators which are very well crafted for iPhone interface supported with concise reference info and reference links, includes several key cardiology calculators such as Framingham 10 yr CAD event risk, CHADS2 score and risk, Warfarin bleeding risk, OB due date calculators, excellent dermatome maps, etc.